​I am assuming this happens elsewhere, a weather system arrives and the change in pressure and you find your head feeling like it is in a vice. Perhaps that old injury you forgot about is suddenly making its presence known again. It happened to me when Hurricane Hermine came to town. My head, my lower back, and both knees, if I had an injury there previously it probably hurt that day. I keep this mixed up and by my bed for those days when I am feeling this way. When you are not feeling tip top is the last time you want to have to make up a blend. ​If you are ready to learn more about using essential oils and being prepared for life’s little emergencies. Click the contact box at the top of the screen and I will schedule a time with you or you can call me at 850-296-7976. ​Hurricane Hermine was an unexpected guest last week. 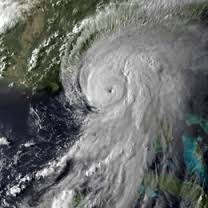 It has been a while since we faced a hurricane, eleven years to be exact since we got walloped by Wilma in South Florida. After going through three hurricanes in two years, two of those in the same month we were pretty good at preparations. What I learned getting ready for this one is that I was out of practice. I thought I had my normal checklist done and was helping with other things but kept coming up with additional things I needed to do. I got them all done but not nearly as smoothly as in the past. My system was broken. ​Using essential oils is like this, they are amazing but you need to be ready, you need to have a system. What does that mean? Know where they are. I had someone who bought oils from me a while back give me a call to ask what oils she could use to tame an itch on a rash her daughter had. I told her lavender. She asked if lavender from the drug store would work. I was a little confused and asked where her doTERRA essential oils were and her answer still stings today – “I don’t know.” Know where your essential oils are, if you cannot find them to use them the essential oils will not help. Learn about oils. I think experimenting and finding what works for you is one of the best thing about essential oils. I cannot think of any essential oil that does not have multiple uses. I love to do some research and decide which oil to try or maybe even find or develop a blend. 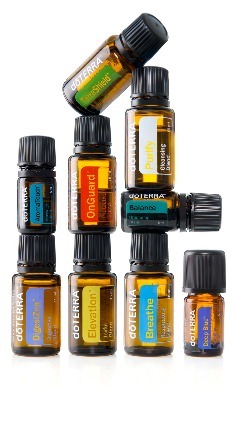 doTERRA provides good information on the oils and AromaticScience.com has links to many scientific papers. ​Use them for non-emergencies. I cannot stress the importance of using them for the seemingly little things so when you really need them you think of them right away. I had an experience where I got some bad food and although if it were anyone else I would have got one of my oils immediately but as it was me laying on the floor it took more than an hour to get my doTERRA DigestZen Essential Oil Blend out and give myself some relief. Now when I have a little something I right away go to my oils as opposed to waiting to see if it passes. That way it is second nature and the first thought I have when something less comfortable strikes. Have a reference book at your fingertips. There are a lot of great reference books out there. Take a look at them, ask other oil users, pick one or two, then keep it handy. I actually have collected a few different books I like but I have my favorite. I have more than one of that favorite book. There is one upstairs, one downstairs, one in the vehicle I drive the most, and soon to be one at the cabin that is almost done. I always have one when I need it. ​Have the tools you need. Sure, the essential oil is the star but every star needs a supporting cast. What else could it need you ask. Carrier oils, roller bottles, spray bottles, to name a few. I always have my carrier oils handy as I prefer to dilute my oils when using topically. Roller bottles and spray bottles make application easier. I also have veggie caps readily available for oils I choose to take internally. Robert Baden-Powell, Founder of the Scout Movement said, “Be Prepared... the meaning of the motto is that a scout must prepare himself by previous thinking out and practicing how to act on any accident or emergency so that he is never taken by surprise.” This should be true for all of us. 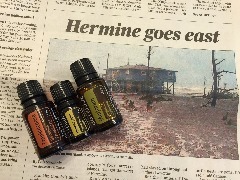 We need to be prepared whether for natural disasters or use these amazing essential oils. If you are ready to learn more about using essential oils and being prepared for life’s little emergencies. Click the contact box at the top of the screen and I will schedule a time with you or you can call me at 850-296-7976. ​Now that said I have never had an essential oil cause an alarm, a few questions and even a sample to be provided, but never an alarm. It also means you can take your coconut oil for diluting and a few oils with you on the plane. I find the best way to do that is pre-dilute any essential oils you usually dilute and take them on the plane that way. That allows you to fit more in your carry on, for a long trip or an uneasy traveler that is important. 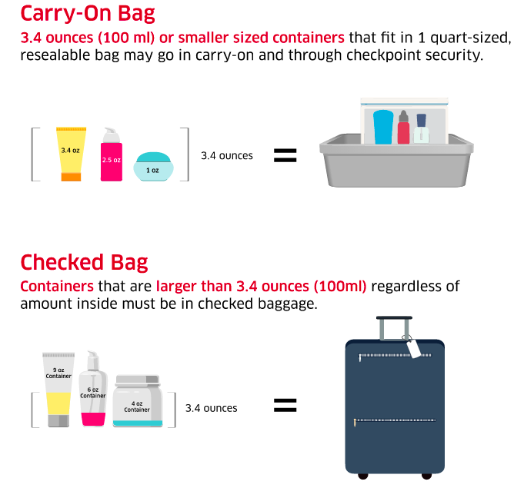 Remember for carry on you only get one – 1 quart bag per person flying so pick wisely. If you want to bring other liquids they need to fit in that same bag. Some will tell you they have got more than one 1 quart bag through but I have seen the TSA take all kinds of things away for not packing per the rules and I am not willing to take that chance. You can get your bottle of water to hydrate before flying on the other side of security. Many airports have water fountains with bottle fillers if you want to take your favorite drinking vessel (I carry my Hydro Flask everywhere) empty through the TSA checkpoint. If you are flying internationally you need to check to see what you can bring into the other country. I have yet to find a country that an essential oil has caused a problem but I have heard enough from others that travel abroad regularly that it is worth checking. The US State Department has an excellent too for this you can access here. There is a box that says “Learn About Your Destination” and you just put in the country you are traveling to. 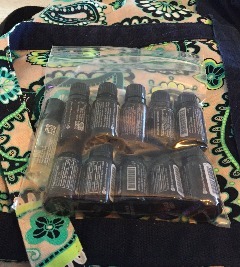 ​As you can see there is more than enough room in this 1 quart zipping bag for 11 oils. I have fit as many as 18 using 10ml bottles and pre-diluting the all but two of the oils. When you pack to head to the airport be sure you put this in a place you can get to it because you will need to pull it out at the TSA checkpoint. 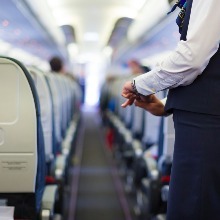 You will also want it in the bag you are placing under the seat in front of you – it would be terrible to know the only thing between you and your oils in the overhead compartment is the guy on the aisle who is sound asleep. ​When using essential oils it is important to be sure you are using oils that have been quality tested and are safe. If you are interested in the essential oils I use please contact me.